Lawrence A. Schiffman D.O., FAOCD, P.L. 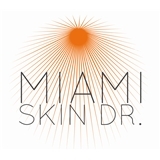 (Doral) - Book Appointment Online! Lawrence A. Schiffman D.O., FAOCD, P.L. Board Certified - General, Surgical and Cosmetic Dermatology Treating all ages and all conditions of the skin, hair and nails. Certified for Medical Marijuana Recommendations in Florida When booking an appointment, please be sure to have your insurance information ready to enter into Zoc Doc in order to expedite your appointment. This will be the member/policy ID number and group number listed on your insurance card. We do take most insurances, however; it is the patients responsibility to understand their insurance policy/plans. Please be sure to check with your insurance plan to see if you are in network with our office so we can better assist you in your needs and concerns. Front desk lady was i little rude everything else good! !